How Chris Ruder built a company based on community values of genuineness, care, and love. 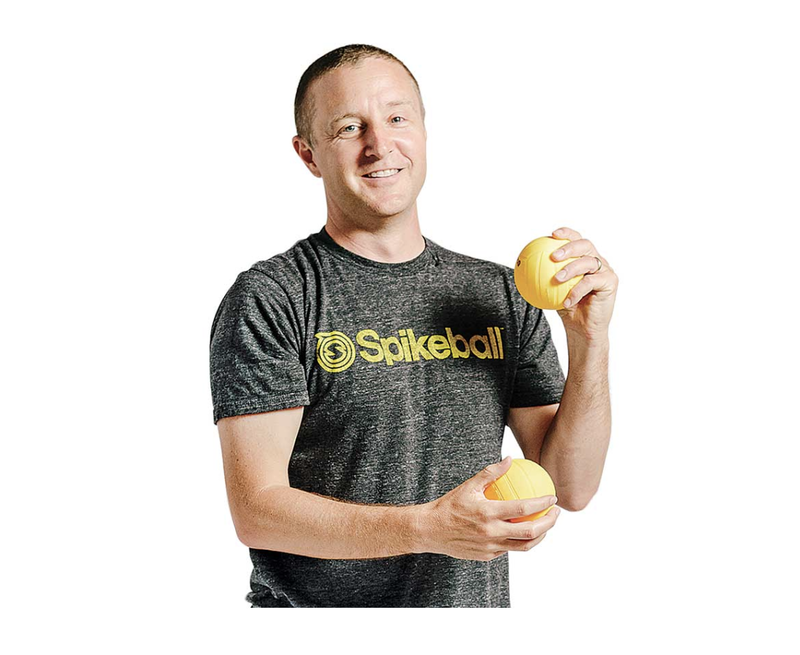 Chris Ruder is the founder and CEO of Spikeball, a sport that has gained four-plus million players worldwide. 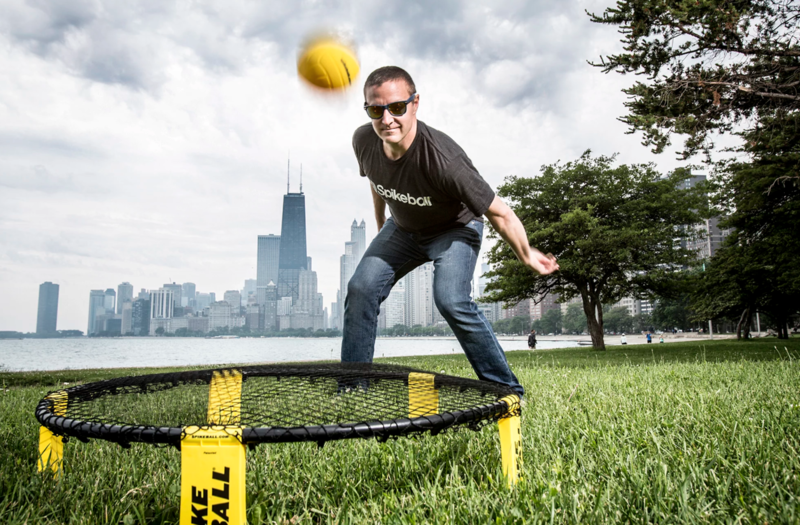 In 2013, Spikeball hit $1 million in annual revenue, and Spikeball has been doing better ever since. In this interview, I chat with Chris about his personal motivations, the successes and struggles of Spikeball, and how he managed to turn a small idea into a million dollar business. What did you study in college and what were your jobs before starting Spikeball? I studied photo journalism in college, which is largely irrelevant from what I do now. After graduating, I tried freelance photography but realized how difficult it was to get a job as a photographer. Then I jumped to doing corporate sales, and kept doing it for 13 years. I’ve worked for SF Weekly, Monster.com, Microsoft, a Bay Area based startup called Keep, and Live Nation, which owns Ticketmaster. How did Spikeball get started? I started Spikeball when I was still working at Microsoft, and I would go home at night to run Spikeball. So I had two full-time jobs for five years. I’ve had the idea of Spikeball for a long time, and my friends and I would always joke about making it into a real business. But I was the one who ended up doing it. You were working for both Spikeball and Microsoft, I’m sure that was a challenging and pressurizing experience. How did you navigate through THOSE challenges? I did not know how to do anything when I first started Spikeball. I got a degree in photo journalism, and I wasn’t into sports. But I loved Spikeball so much that I was so excited to work on it everyday. It was actually going to the day job that dreaded me — the work itself didn’t excite me. As Spikeball kept growing, my challenge became keeping the two worlds separate. Luckily, I was always over quota at my sales job, so I started taking more time off of my day job to invest more time into Spikeball. What’s the most exciting thing about working for Spikeball? The community. I know people who met their spouse through Spikeball. I know three people who have Spikeball tattoos on their bodies. I know a man who carried a Spikeball set with him to basecamp at Mount Everest. There are brides in their beautiful new wedding dresses playing Spikeball with their husbands at their wedding. It’s a plastic net and a rubber ball, but that’s not where the magic comes from. The magic comes from the fact that the game requires four people to come together to play. It’s an incredible feeling: seeing people take a product I have built and grown so seriously, and make it a part of their life’s biggest moments. I’ve worked in corporate for 13 years, but never once did I get such deep, emotional, and sincere connections like the ones I have everyday at Spikeball. You are building more than a business. You are building communities and bringing people together. What’s the magic behind that? I hired a lot of my employees from Spikeball tournaments and communities. A lot of it happens organically. Our employees love helping other people, and their passion is contagious. I also believe in minimizing the distance between us and the Spikeball players. To eliminate mediations, we don’t have any media agencies helping us. We go to every tournament ourselves and all of our employees are required to do customer service shifts every once in a while. There’s about 10–12 knockout sets out there in the market today, but none of them are trying to build a community. That’s what makes us wildly different from the rest. You are such a genuine person and I can see that you want to spread love. Where does that part of you come from? I am not the type of person who needs to be under the spotlight. I just enjoy building human connections, and knowing that I am the person behind those experiences. This drive probably came from some childhood experience or memory. Firing is always difficult for employers. How do you do it? At Spikeball, we hire, fire, and manage according to our company’s values. Our company values are powerful because none of them were written by me. It is a collective agreement between me and all employees, which means that everyone believes in them. This actually makes firing easier, because I would never have to say, “Ben, you messed up. It’s time for you to go.” Instead, I just say, “Ben, your work didn’t align with our company’s second value.” Ben would know himself that it’s time to go. It works so well every time. There are a lot of people who are scared to redesign their lives. They are scared of uncertainties, and a lot of them choose to stay in the job they don’t like. How did you make that change? There’s the famous interview question: “Are you a thinker or a doer?” I am absolutely a doer.There are people who say they want to do all these things, but all they do is go home and watch sports for two hours every night. Turn off the TV. There is an either or. Don’t just say. Do.People think starting over means taking ruthless risks. But that’s such a misconception. I don’t think people have to quit their jobs in order to build something. For my preference, that’s way too risky. It’s all about taking calculated risks. I planned Spikeball for 5 years before actually quitting my job. Entrepreneurs are actually some of the most risk-averse people out there. It’s not about the big leaps, it’s about taking one small step at a time. What’s your general philosophy in life? What’s the most important lesson that you live by everyday? What’s one piece of advice that changed your life? Give advice only when asked for. Never tell people what they should or should not do. What’s one piece of advice that you would give to your 18 year old self? You’re not as cool as you think. What’s one piece of advice that you would give to people? What’s your favorite pastime hobby? What do you do in times of doubt? Talk to a friend and get some outsider’s perspective. I am a person bringing people together. I am doing what I can to create a level of playing field.